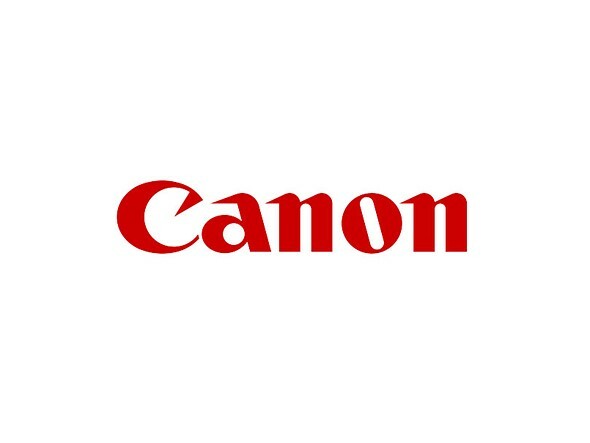 De actualiteit van dit ogenblik, nieuws(artikelen) met het woord "camera"
According to a report [partial paywall] from Nikkei Asian Review, Canon is planning to lower its profit forecasts for the 2019 fiscal year by 20 percent ? amounting to approximately 50 billion yen ? due to shrinking camera sales. What's to blame for this downturn? According to Nikkei, the digital camera and semiconductor markets are shrinking due to the increasing capabilities of smartphone cameras. Below is the full translated section of the report: 'Canon will lower its forecast for the fiscal year ending December 2019. Consolidated operating profit (US GAAP), which indicates the mainstay of the business, is likely to decrease by 20% over the previous fiscal year to just over 270 billion yen. About 50 billion yen lower than the previous forecast. The shrinking of the digital camera market and the deterioration of the semiconductor market due to the functional improvement of smartphones (smartphones) will hit hard.' This report echoes the drop in global camera sales reported by the Japanese Camera & Imaging Products Association (CIPA) earlier this month. Leica is facing backlash in China following the publication of a video called 'The Hunt' set in 1989 during, among other things, the Tiananmen Square pro-democracy protests. In response to the video, Chinese social media website Weibo has banned the use of the word 'Leica' -- attempts to search for content in English and Chinese using that keyword returns zero results. 'The Hunt' is a fictionalized video that primarily follows a Western photojournalist who attempts to capture the Tiananmen Square protests using a Leica camera1. Though the video never explicitly mentions the protests, it features the text 'Beijing, 1989,' and concludes with the iconic 'Tank Man' image as a reflection in a Leica camera's lens. The video went viral on social media in China, where a number of users have lambasted the dramatic reenactment. Soon after, Weibo banned posts containing the word 'Leica' due to the video's 'violation of relevant laws and regulations or the Weibo Community Convention,' according to the South China Morning Post (SCMP). SCMP claims Leica didn't commission and does not sanction the video, which was reportedly produced by Brazillian marketing company F/Nazca Saatchi Saatchi. The news source published a statement from Leica, which expressed regret over 'any misunderstandings or false conclusions that may have been drawn' regarding the video. The controversy hits Leica amid its partnership with Chinese company Huawei and its plan to launch 20 to 30 new stores in China. Likewise, the video arrives during a particularly tense time for the Chinese government ? June 4 is the 30th anniversary of the government's deadly suppression of the pro-democracy protests. For its part, Leica has been criticized for distancing itself from the video, which has been praised by some as a poignant reminder of the pro-democracy movement and the Chinese government's bloody response. The Communist Party of China censors the Tiananmen Square Massacre and related protests and as such is not expected to make a public statement on the video. @duckrabbitblog Whoa, this Leica ad is atrocious in its stereotypical, aggrandizing depiction of the white saviour vs the dangerous, dark, unintellegible "other"- They could've just called it The Predator: https://t.co/TTuh9e7eOX ? David Jazay (@DavidJazay) April 18, 2019 The video has also drawn criticism across social media for its 'stereotypical, aggrandizing depiction of the white saviour vs the dangerous, dark, unintellegible "other,"' as seen in the above tweet from photographer and filmmaker David Jazay. 1It's worth noting the iconic 'Tank Man' image was captured on a Nikon FE2 camera through a Nikkor 400mm 5.6 ED-IF lens and TC-301 teleconverter with a roll of Fuji 100 ASA color negative film, not any Leica camera. Actuele tweets met het woord "camera"
Het woord "camera" was eerder in het nieuws, zie onderstaand de (max. 20) laatste keren dat dit het meest populaire woord was in een categorie. Het woord "camera" komt voor als trefwoord in het foto-album, zie onderstaand (max. 50 foto's).